The TMBA Membership Fee for the year ending 31st December 2019 is £5.00 – See Option 1 below. New applicants MUST complete the Application Form BEFORE making payment. 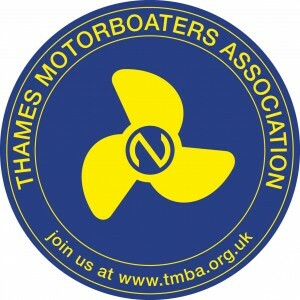 Help to promote the TMBA with these 100mm diameter self adhesive vinyl window stickers to display on your boat or car. You can combine payment with your Membership Fee to include 2 or 4 window stickers – see Options 2 and 3 below, or paid up members may purchase them separately – Options 4 and 5. Stickers will be despatched by post to card holder address as soon as possible. Please allow 10 days for delivery before chasing the Administrator !